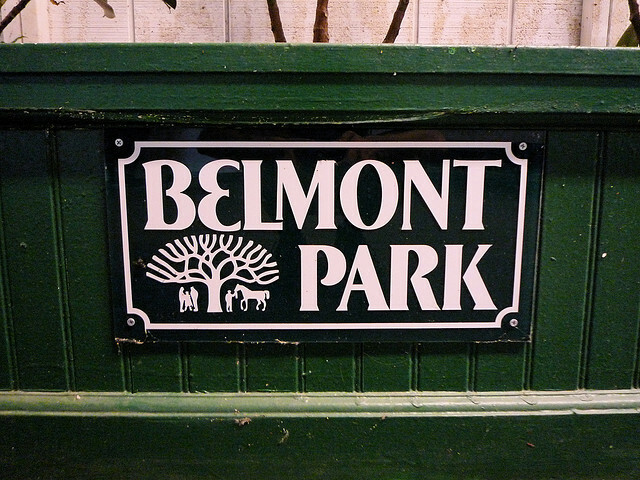 Belmont 4: I liked Mineral Water (6-1) to sit a good trip and grind on home with the extra 1/2 furlong. Improved since layoff, it’s not the toughest field, and the price should be good enough to take a shot. Result: 2nd to favorite. Belmont 5: I took a gut shot with Dangerous Lad (12-1). He’s a fast enough turf horse who likes the distance in a field with lots of questions. Result: Led into the homestretch, but passed by closers in final 100 yards. Upset winner at 13-1 in Which Market. Belmont 7: In the Footsteps drops down in the second start off the layoff for Linda Rice. Willing to forgive last as too short and at a different track. Price might be nice with a 6-1 morning line, but some key scratches could effect the price. Playable down to 4-1, but not below. Belmont 9: I like Neilinger (6-1) for the Contessa barn. Running lines suggest that she should appreciate the stretchout. I’ll be at 4-1 or better. Momma’s Favorite is also worth a longshot look at 12-1. Paco Lopez rides for this other Monmouth invader. Another who could benefit from the stretchout. Will take shot at 8-1 or better. Update: Neilinger is scratched. Will still take flyer on Momma’s Favorite. I’m also going to add Trensita (10-1) for Michael Matz who usually has them ready for their second time on turf. Laurel 9: Nest of Pirates (and not because it’s National Talk Like a Pirate Day) at 6-1. The two likely favorites, both NY-invaders, have closed into some fairly sharp paces. Nest of Pirates, however, has done in with some softer paces. One decent turf effort already in past, and goes for a trainer that excels off the layoff. Playable at 3-1.